Now extended through May 12! 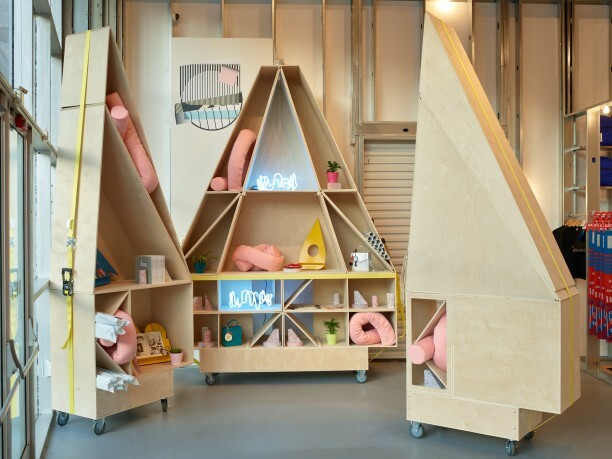 MOCA Store presents a pop-up with Los Angeles– based THIS X THAT, featuring limited-edition items for home and garden that offer imaginative solutions for everyday life. Founded by Danielle Rago and Honora Shea in 2016, THIS X THAT is dedicated to bringing architecture and design to a broad audience, working with emerging practitioners to create innovative projects at the intersection of architecture, design, art, and culture. The pop-up features designs by Jimenez Lai and Joanna Grant of Bureau Spectacular, Besler & Sons, New Affiliates, and others. You can also shop the collection online here.